An effort to designate Feb. 12 to 16 as Jewish American Heritage Week is underway in Florida. The resolution recognizes “the invaluable contributions of Jewish Americans to our way of life,” and notes that Florida is home to 654,860 of the country’s Jewish Americans. The House bill was introduced on Jan. 9 by Emily Slosberg of Delray Beach, Randy Fine of Palm Bay, Joe Geller of Aventura and Bill Hager of Boca Raton, and adopted on Jan. 11. The Senate bill was filed on Dec. 4 by Daphne Campbell. The Jewish Legislative Caucus is hosting a Jewish Heritage Breakfast on Feb. 13 at 8 a.m. in the Knott Building in Tallahassee. Nationally, Jewish American History Month has been celebrated in May, and the resolution references the month without stating that it is in May. The national celebration was established after an effort by the Jewish Museum of Florida and the South Florida Jewish community. In 2005, Rep. Debbie Wasserman Schultz of Florida and Senator Arlen Specter of Pennsylvania introduced the resolutions urging President George W. Bush to make that designation, which he did in April 2006. 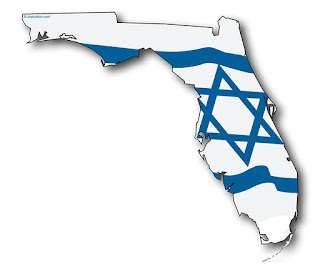 Backers originally wanted the month to be January, because in October 2003, Governor Jeb Bush signed a bill designating January as Florida Jewish History Month, but the national event was moved to May because President Jimmy Carter had declared a Jewish Heritage Week for May in 1980. Just in Washington, the Library of Congress, National Archives and Records Administration, National Endowment for the Humanities, National Gallery of Art, National Park Service, Smithsonian Institution, and United States Holocaust Memorial Museum have done programs commemorating the month. The Jewish Federations of North America convened the JAHM Coalition with the Jacob Rader Marcus Center of the American Jewish Archives and the American Jewish Historical Society, and a number of museums around the nation, including the Jewish Museum of Florida. Last year, the National Museum of American Jewish History took over coordination of the month, as JAHM had no paid employees and a budget of $10,000. This year’s national theme is Jewish Contributions to American Music.